Joe Beach is a joyous heaven for the fun-loving family, a peaceful place for an overwhelmed businessmen, a luxurious alternative for the vivacious vacationers, an adventure spot for the young generation and an awesome world for the playful kids. Joe Beach rooms are finished in fine hardwood, stylish, finest modern amenities and deluxe ritziest rooms with a soul-soothing sea view. Stay in air-conditioned, arrange important meetings, discuss future ventures, and organize conference, seminar or a get together at our well-furnished conference hall. 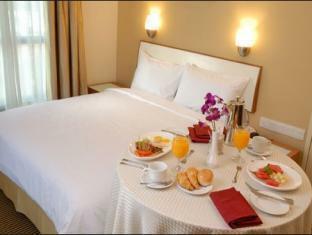 Relish mouth-watering delicacies and feel the ambience of opulent sea face resort. Imagine being at Joe Beach deep blue sea with natural atmosphere, soothed by the song of waves, fanned by refreshing ocean breezes, lush green gardens, tranquil premises, refreshing rooms and inspiring interiors. Watch the ocean from swimming pool, collect shells with the waves lapping your feet, and enjoy the tasty cuisine and especially the day's catch of sea food. Go on a sightseeing trip to the architectural marvel of Mahabalipuram the options are unlimited for holidaying with us.